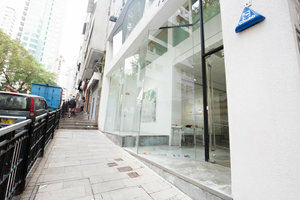 This 2,300 square feet space is well-located in the elegant and trendy area of Sheung Wan, and is available to rent for pop-up store and gallery. The space is located on the ground level of a complex building, standing out from the other older buildings nearby. 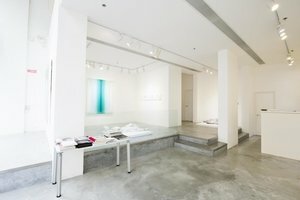 The space has two storeys, the ground floor of the gallery has a higher ceiling, creating a more spacious feeling, while the first floor is a bit smaller with a lower ceiling, creating an intimacy and coziness. Brands, designers or artists would enjoy a greater flexibility in terms of the use of space, for example, using the first floor as a storeroom, or a space for VIPs' gathering! 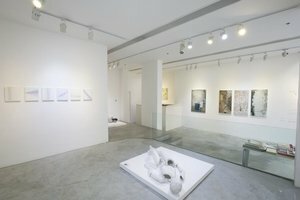 For the interior design, the gallery is white in general with a well-polished concrete flooring, creating a simple but elegant and modern atmosphere, visitors and guests would definitely be impressed by the simplicity and modernity of this delicate gallery. 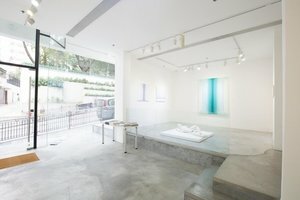 On the other hand, it is also well-equipped with security system and audio system, which made this place without a doubt, the best gallery for pop-up events like exhibitions or art openings! - Overtime charges apply for the use of each additional hour or part thereof. 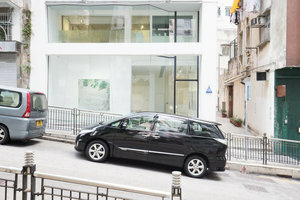 - Additional one-time artwork removal charge: HKD 30,000 (optional).